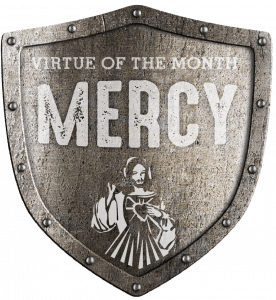 The virtue of the month for Conquest and Challenge in October is mercy. 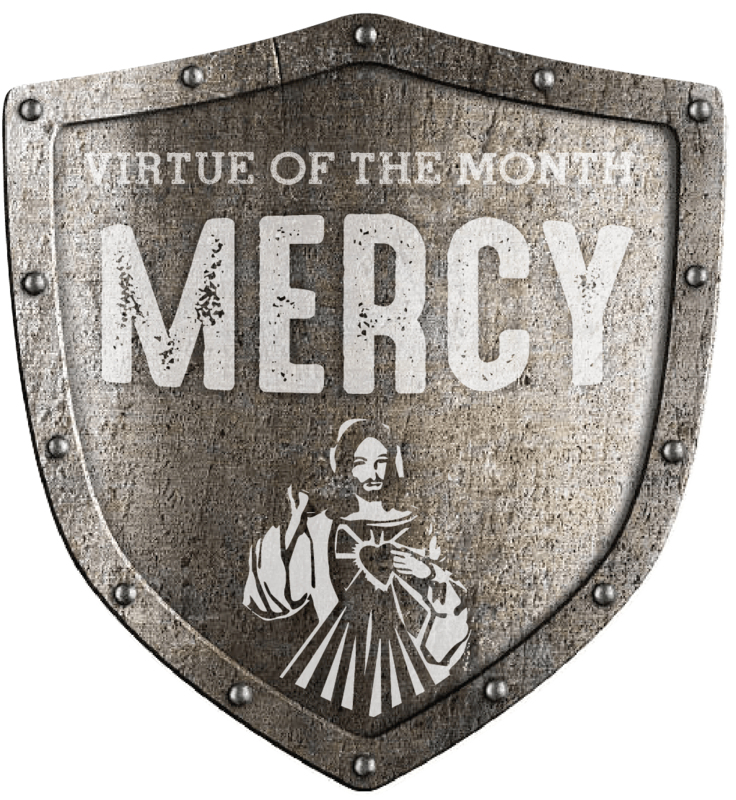 Mercy is the willingness to help anyone in need, especially those in need of pardon or forgiveness. Justice calls us all to assume responsibility for our actions. Mercy and compassion go beyond the issue of who is responsible. Mercy is simply love’s response to suffering. When we see someone who is suffering, we show them compassion. The greatest form of suffering is to not know God or his love. That is why there are spiritual works of mercy to help people get close to God. God is the Father of Mercy and compassion. Jesus was an example of mercy here on earth. He is our example of a merciful heart. We sin and offend him in little and big things and he forgives us. 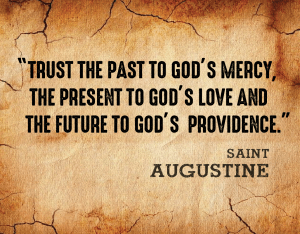 His mercy comes from his love for us. If we want to be merciful to other people, then we need to look at them with love and see their needs. The whole story of redemption and Christ’s coming to the earth shows us the merciful love of God for us after we sinned and turned away from him. He Church has the corporal and spiritual works of mercy. There is a specific prayer called the Divine Mercy chaplet and the Sunday after Easter is officially Mercy Sunday. All of these things show us that mercy has an important place in the Catholic Church. God shows us in Jesus Christ the full depth of his merciful love. Through Jesus Christ the invisible God becomes visible. He becomes a man like us. This shows us how far God’s love goes: He walks every path with us. He is there in our abandonment, our sufferings, our fear of death. Jesus preached a gospel of love and mercy which is a bit different than the old testament laws, so the people of his time were intrigued. He said mercy is better than justice and if someone hurts you, forgive them. He tells people to love their enemies. 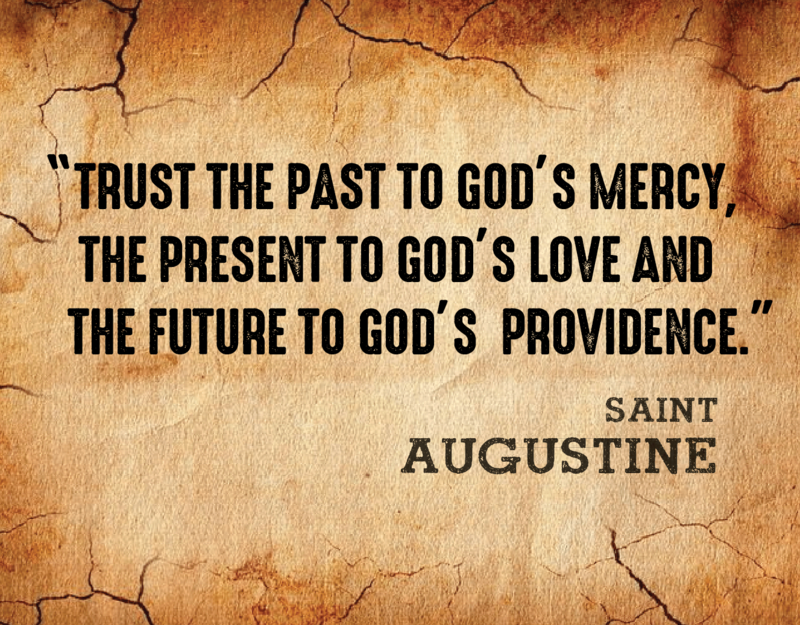 He challenged the people of his time to have mercy on those who did not show mercy. St Faustina is the nun who Jesus appeared to in Poland and instructed to begin the devotion to Divine Mercy. One of the prayers she wrote is short and sweet but can help us remember that we need to ask God for help to be as merciful as he is. “Help me O Lord that me eyes may be merciful so that I may never suspect or judge from appearances, but rather look for what is beautiful in my neighbors’ souls. Help me O Lord that my hands may be merciful and filled with good deeds.” This is part of a longer prayer that St Faustina wrote about mercy.